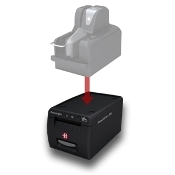 The SmartSource Expert Scanner uses on-board intelligence to perform Magnetic Ink Character Recognition (MICR) and Optical Character Recognition (OCR) read, 300 dpi image capture and compression, image quality decisions, franking, and endorsement all in real-time at up to 80 documents per minute. Pocket decisions can be made based on MICR and/or front image content such as OCR, barcode recognition, or image quality results. Internal processing serves to reduce network traffic. 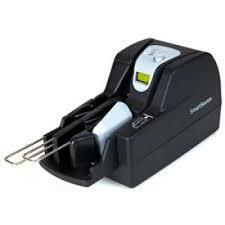 A digital signature is applied at time of capture within the device, eliminating image security risks. 48 MB of internal memory serves as storage for up to 1000 document images making it possible for document processing operations to continue during periods when the network is interrupted or data transfer rates are reduced due to increased network traffic. The SmartSource Expert device offers a backlit LCD display to communicate operational status and/or exception conditions directly to the operator. 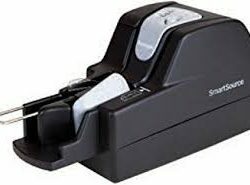 The SmartSource Expert also includes the capability to scan a variety of documents, such as ATM envelopes and very short pieces of paper (less than three inches [7.6 cm] in length.